LuckyBetz Welcome Bonus Package welcomes new members with one of the best no-deposit bonuses. After playing through the no-deposit bonus, LuckyBetz Casino offers members a very generous Deposit Bonus Pack. To start playing real money, Luckybetz Deposit Bonus gives you 200% match bonus on your first THREE deposits up to $6000. Make your first deposit at LuckyBetz casino online and they will triple the money you can play with. Each of the three welcome package deposit bonuses also include 50 Free Spins, good for 6 of their popular online slot machines. This offer is valid only for first-time depositors at LuckyBetz Casino. 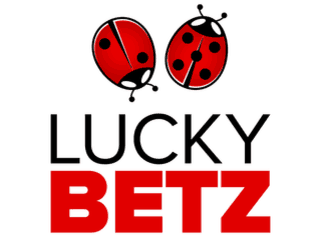 LuckyBetz 200% Welcome Bonus package is good for the first THREE deposits. Minimum deposit amount is $25. Maximum deposit is $1000. Maximum bonus cash is $6000 for the three deposits. Each deposit bonus includes 50 Free Spins with a $30 value. Rollover requirements: Deposit and bonus must be rolled over 35x before the casino bonus balance will be transferred to real cash balance. This LuckyBetz Casino Welcome Bonus is a limited time offer, exclusive to Casinos Online Review. Rollover requirements for LuckyBetz Casino bonuses in the welcome package are 35x deposit plus bonus cash. The wagering requirements for the 50 Free Spins is 40x on the final winnings. This means that players need to simply rollover whatever winnings they may have earned from the Free Spins 40x. For example if a player wins $200 in the Free Spins part of the bonus, they will need to complete wagering requirements of 40x $200. We have rated LuckyBetz Casino as one of our top online casinos with a casino rating at 94/100. 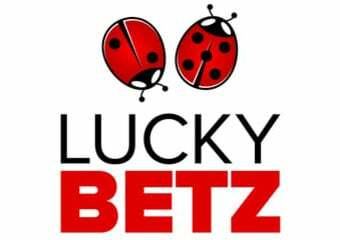 Check our LuckyBetz Casino Review.